We have different kinds of board games but we cannot use same board for multiple games until now. 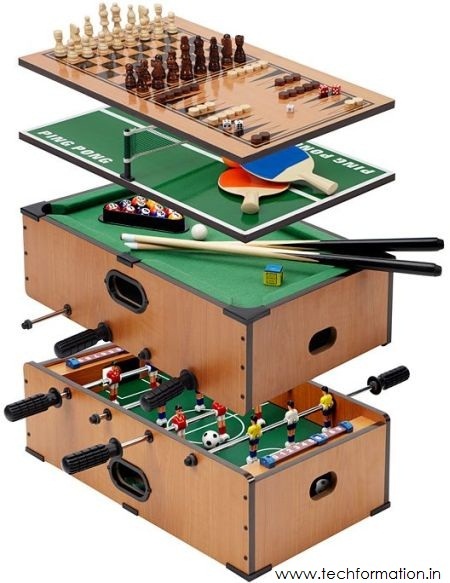 Today we got a 5 in 1 board game where Foosball, Ping pong, Backgammon, Chess and Pool can be played. All the boards come in one set and one can be played at a time of your choice.